How is your TV viewing experience? Do you get to enjoy uninterrupted quality pictures and sound? If not, we can help. 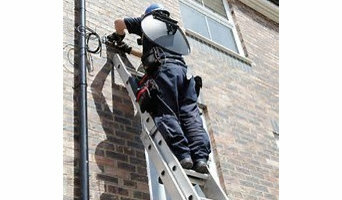 We will help install your aerial and satellite dish so that you get the perfect viewing experience. We will also help mount your TV to the wall as well as upgrade your decoder for the best TV experience. Once you contact our experienced technicians they will help advise on the best HD options available in the market. We are strategically located in Randburg, which gives us quick access to all our customers. We have also invested in some of the latest equipment that enables us to work quickly and efficiently. Make a booking with us and get certified professionals to work for you at <a rel="nofollow" target="_blank" href="http://www.dstvinstallation-randburg.com/">http://www.dstvinstallation-randburg.com/</a>. You can also call us directly on 087 551 0820 and get to enjoy same day services.